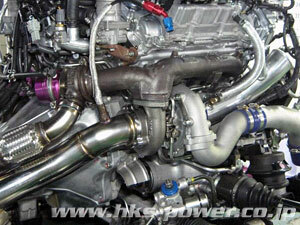 * The output data is test result of HKS chassis dynamometer. The results may vary for other device. GT-R R35 VR38DETT 07/12- GT1000 FULL TURBINE KIT GT-FTK GTII 7867 & GTII 7867R 88.3kPa (0.9kgf/cm2) 11003-AN013 Off-road use only.